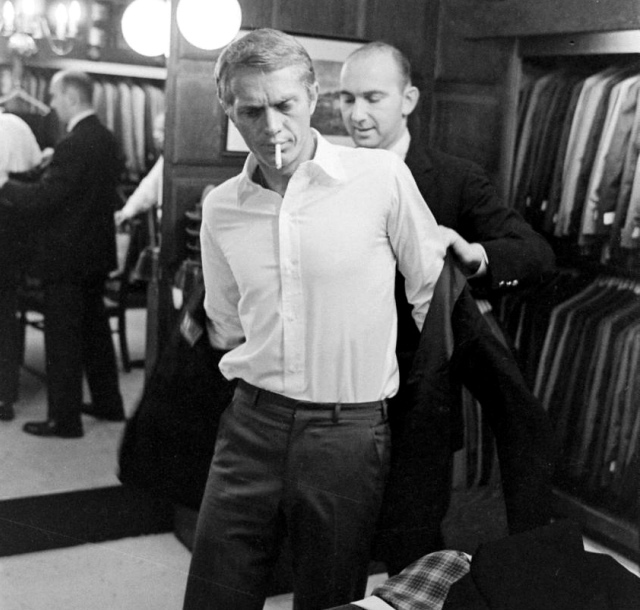 Steve McQueen gets fitted for a dinner jacket, Beverly Hills, 1962. This entry was posted in Icons, Style and tagged 1960s, dinner jacket, Hollywood, men's style, smoking, Steve McQueen. Bookmark the permalink.